The majority of children in the foster care system have trouble with basic literacy and numeracy. They fall behind in school and are at risk of becoming juvenile offenders due to a lack of strong role models. The Pyjama Foundation is a not-for-profit charity setting out to empower foster kids through education. Their Love of Learning Program matches a foster child to a mentor, who guides their charge through reading, writing tasks and other work they would struggle with on their own. We worked with the PF team to totally rebuild the site so it was more user-friendly. 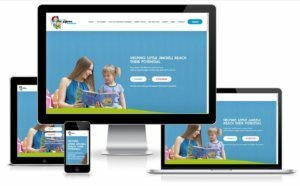 Other redesign aspects included sections for the Love of Learning Program, testimonials, links to social media and a comprehensive ‘Get Involved’ section.